 Patrik has been a member of the YO STREET ZONE crew since 2014 and never fails to impress with his Panna and Street Soccer skills. Having the most elegant style of all our players, he is the master of smooth and entertaining groundmoves, tight ball control and dazzling footwork. And of course he's got some fancy nutmegs up his sleeve!